We acquire property during our lives: a home, valuables, auto, etc. Is your property insured? Does your insurance meet your needs? Stop by and we’ll look at it together! Coverage includes the structure of the apartment, its contents and protection against damage to a third party. 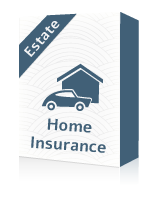 Why should your home be insured? Home insurance has two parts. First is insurance on the building itself covering damage to the walls and all connected infrastructure, such as sewage, water and air conditioning. This component is required when you take a mortgage. The second part is insurance on the contents of your home. It includes all items within the apartment not attached to walls or infrastructure. This means property that can be destroyed by fire or flooding or stolen in a burglary. The risk is high and the premium is low: in return for a small monthly payment, you get economic protection and peace of mind. Call us for a proposal!